Never mind the forecast (what ice storm? 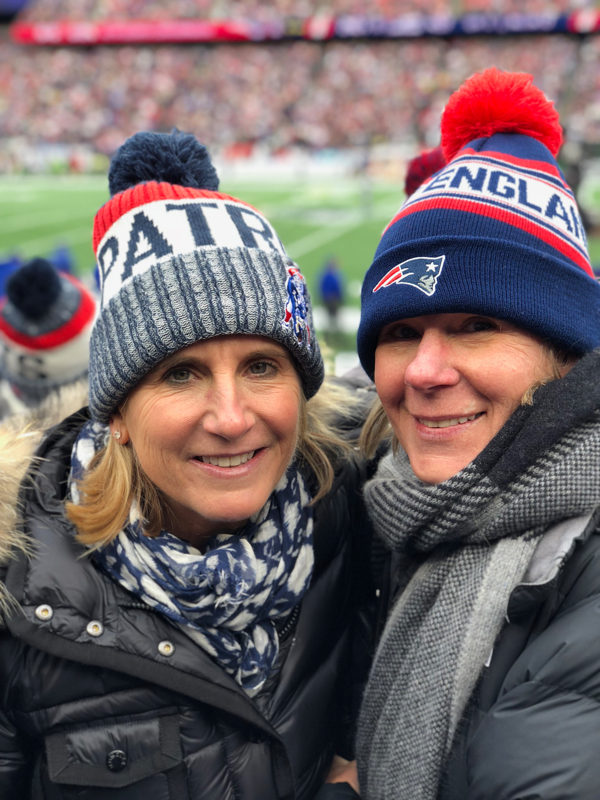 ), we’ve got just the post for those of you gearing up for the 2018 New England Patriots playoff game at Gillette this Saturday. 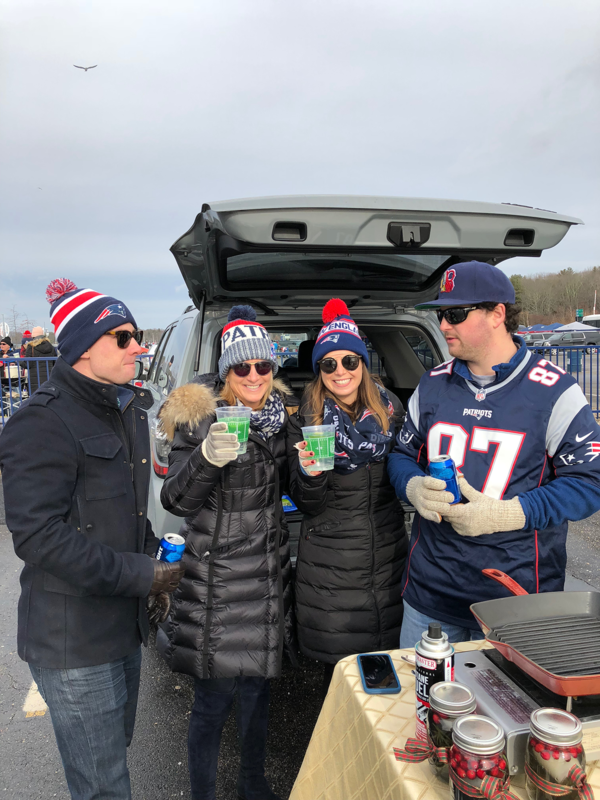 Check out our 6 pregame tips for your tailgate, culled from our recent Christmas Eve outing at the Pats game. #1 Don that Gronk jersey and Brady-esque beanie. This is a no-brainer, but show your true colors by wearing Patriots gear. We dressed head to toe (literally, down to our socks) in Pats garb and had a great time doing it. #2 Choose the roomiest car. 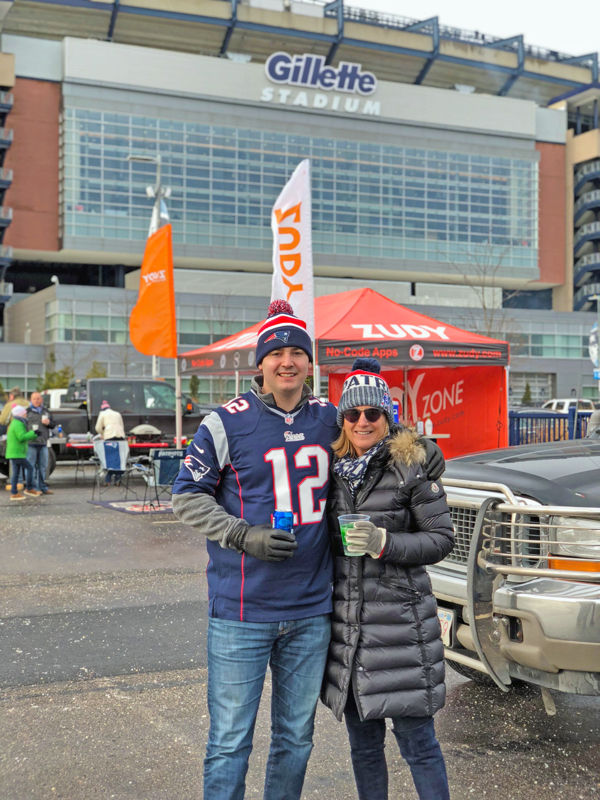 Gillette’s Putnam Club Lot is no place for your Mini Cooper, you’ll want to bring the car with loads of cargo space to haul the butane grill, game-day food and drink, and the folding table you’ll want to set out. We took a TRD Pro 4Runner, which worked great, and has plenty outlets in the back for the Crock-Pot. #3 Get there early. Arrive and get set up 2 hours before kickoff. That way, you have plenty of time to pre-party, man the grill and mingle with fellow fans. #4 Drink up. 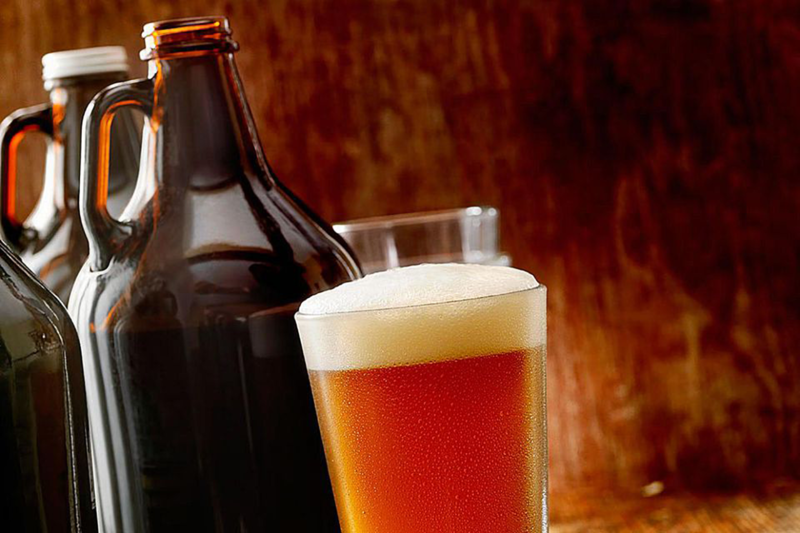 Beverages are probably the second biggest attraction (the first off the gridiron) and the beer is always flowing at a tailgate. We packed cans of all-American Bud Light, and, since we’ve got a kegerator back home, filled up growlers of Eraser IPA. Premixed cocktails can be made before you go and stored in mason jars with a handle. They transport easily thanks to their lids, and are ready to serve. #5 The Spread. We’re not talking betting, we’re talking food and a grill is an essential. 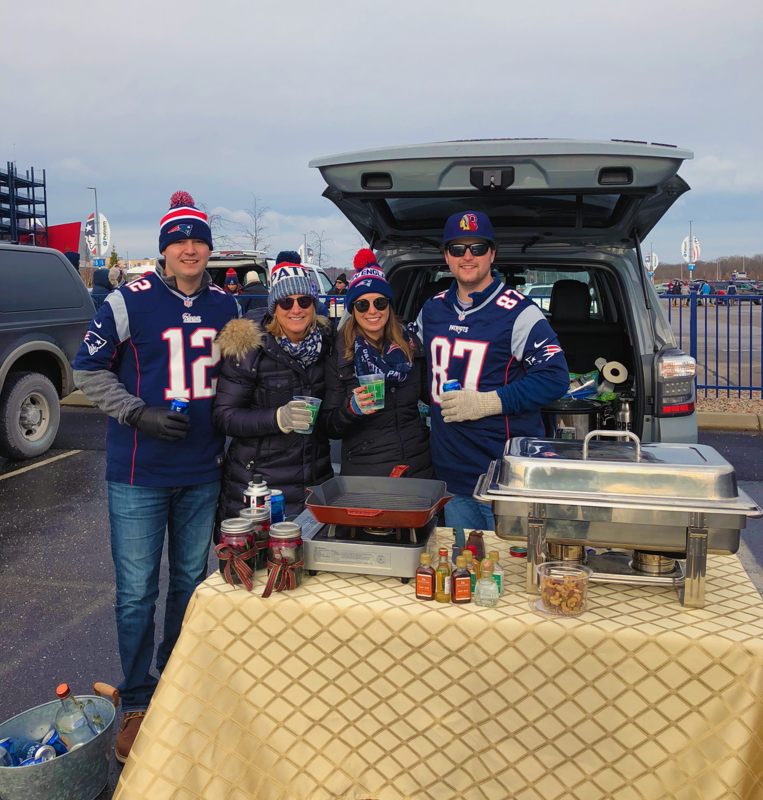 While we saw lobster on a barbie next to us, we prefer down-home fare for tailgating, like grilled sausages from Waverly Market in Framingham. They’re delicious, handmade daily and come in 13 varieties (sweet and hot Italian are the most popular). Leave the chafing dishes at home, but definitely bring the Crock-Pot—ours was brimming with barbecued pulled pork. Hot dips are also tasty and a great way to keep warm. We served two—a buffalo chicken dip and a hot artichoke dip—and served them with crackers and Scoops Tostitos (my kids insisted!). Amazon sells coolers that double as food warmers, with a plug built in, and we wish we had one! # 6 Pack hand and foot warmers. New England football fans are about as hearty as they come (Tennessee, maybe not so much), but we can still use a little help when braving the elements for hours. We always have plenty of warmers on hand (HotHands makes one for your mitts, toes and insoles) and pass them around. Titans fans can fend for themselves.